Ernest Concepcion, in his second solo exhibition at 1335MABINI titled “Just A Hint Of Mayhem”, comes up with new works that explore possibilities in painting in relation to photograph-based imagery and abstraction. 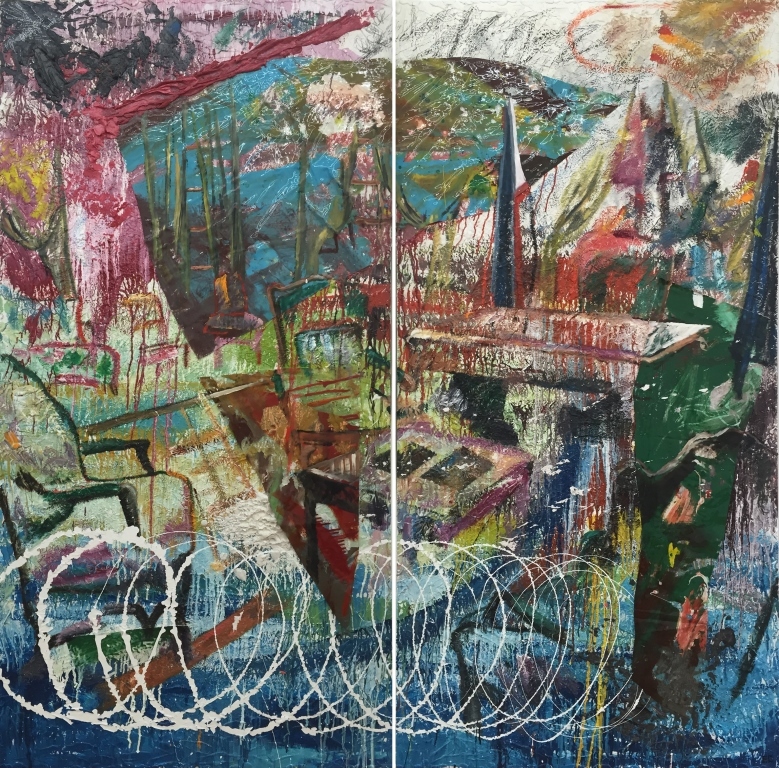 Cited last year as one of the CCP Thirteen Artists awardees, Concepcion works tangentially on the idea of representation based on references in Filipino culture from an expressionistic stance; mainly he is interested in his experimentation with medium and ground as he pushes paint to a level of rich, brightly-colored impastos. His early set of works consists of illustration-based paintings, contoured and highly-figurative. Having lived and worked in New York for more than a decade, the artist, now living in Manila, develops an approach that derives itself from the potent visual character of a local culture that gives importance to sensorial experience. This then points towards an attitude that emphasizes form; the artist prepares his pigment that allows for a highly textured finish. For this exhibition, the artist incorporates a set of images based on interiors of places most of which are local landmarks, and “defaces” them. 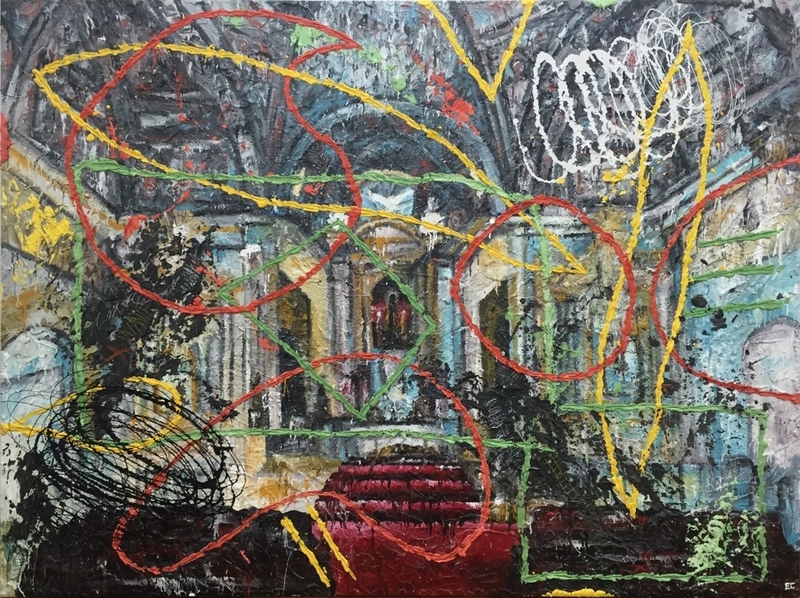 When observed closely, it becomes a visual language of its own as the viewer is confronted with a ‘chaotic’ façade, partly erasing a preliminary painting of a photograph-based interior. He presents these works alongside several highly abstract pieces, which is a continuation of his exploration of form. 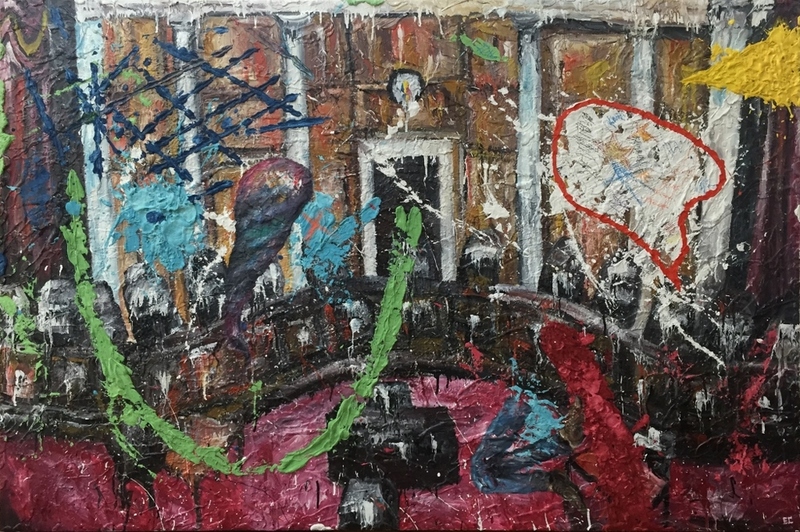 The defacement introduces a way of inviting a viewer to pause and “figure out” what is happening on the canvas, in the same manner that it affirms a specific type of “vandalizing”, which is an intrinsic quality of the work. Always painting in automatic and swiftly executed strokes, Concepcion places intuition, skill and fast composition to a group of two-dimensional works borne out of a need to react to an environment infused with an abundance of multi-sensory stimuli.